The action was very solid, with a total shutdown of council services, hundreds of new members joining Unison, and over 2,000 at the strike rally. At the beginning of July the council made an offer under the threat of further strike action. 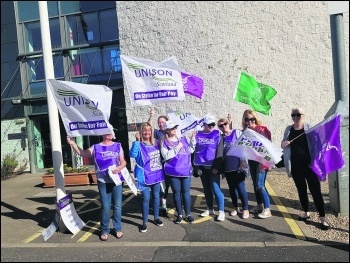 They retreated on significant issues including workers' demands for no reduction in annual leave, no change to overtime rates and no change to the notional working day. This shows coordinated strike action works. The dispute continues, however, as the council is continuing with attacks on the redundancy payment framework due to be imposed in November. 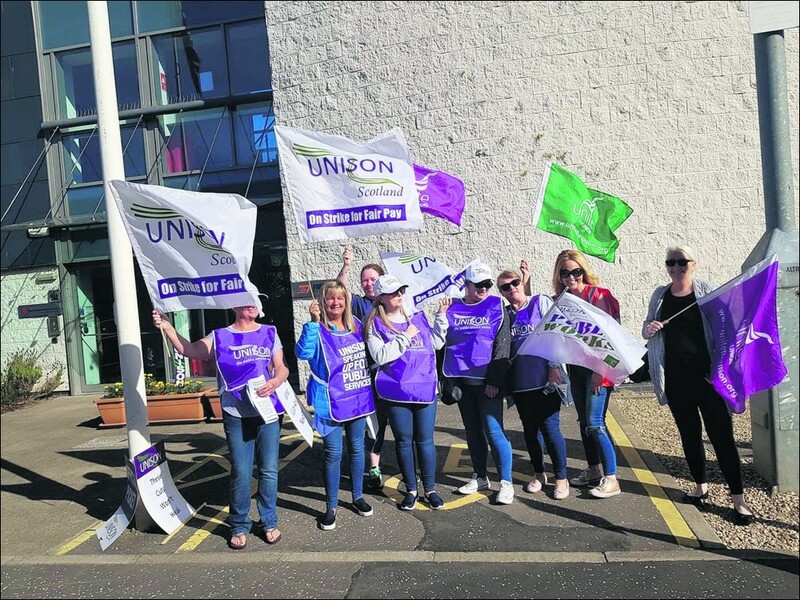 East Dunbartonshire Unison has warned members: "East Dunbartonshire Council do not have a 'no compulsory redundancy policy' which could mean if this package is not attractive enough to encourage employees to volunteer to leave, we could all find ourselves in the position of being made redundant on a compulsory basis with absolutely no say in the matter". The trade unions ran a consultative ballot during August recommending acceptance of the agreement on leave, the working day and overtime but recommending rejection of the attacks on the redundancy payment framework and asking for a mandate for further strike action. Unison members voted by 80% to reject the package on redundancies and 85% for continued strike action. Socialist Party Scotland gives its full support to East Dunbartonshire council workers in their fight.